Pringles decided to go wild and combine two completely opposite flavors that create a festival of deliciousness when combined - Chili & Sour Cream! Can you imagine how incredible this new flavor is going to be? This mix of the creamy sour cream and the hint of chili is completely unexpected but it works. The two flavors bring out the best of one another. Your job is to get the word out by creating a story that is very surprising and entertaining. 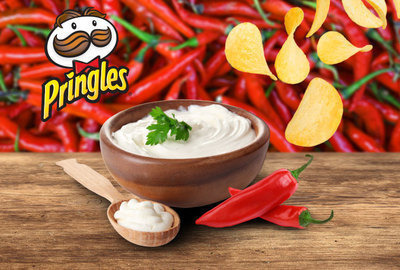 Knock us off our feet with incredibly creative and interesting print ad or video that convinces snackers everywhere to try the new and amazing Pringles flavor - Chili & Sour Cream because it is the ultimate premium taste and fun. Tell it in a way that would get people to notice the new flavor, crave for it and TRY IT!